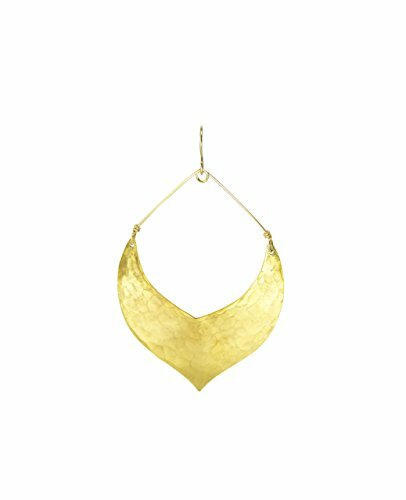 This Moroccan earring turns every ensemble into a beautiful, bohemian dream. Designed by Robin Haley, cut and hammered by hand in our Nashville studio. 14K gold-plated 14K gold-filled ear wire Dimensions: Roughly 2 3/4" from the top of the ear wire to the bottom point, and 1 3/4" from the widest point across. If you have any questions about this product by Robin Haley Design, contact us by completing and submitting the form below. If you are looking for a specif part number, please include it with your message.